Shopping for a great used sedan in St. Louis? Explore our available inventory of used Kia Optima models at Suntrup Kia South. This reliable and safe sedan has everything you need, all at a price you’ll love. View our inventory below! Why Buy a Used Optima at Suntrup Kia South? 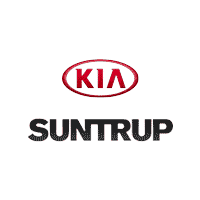 Learn more about this fantastic sedan by visiting Suntrup Kia South, your Oakville-area Kia dealership. You can also browse our used vehicle specials for even more deals! Contact us today with any questions or to schedule an appointment.